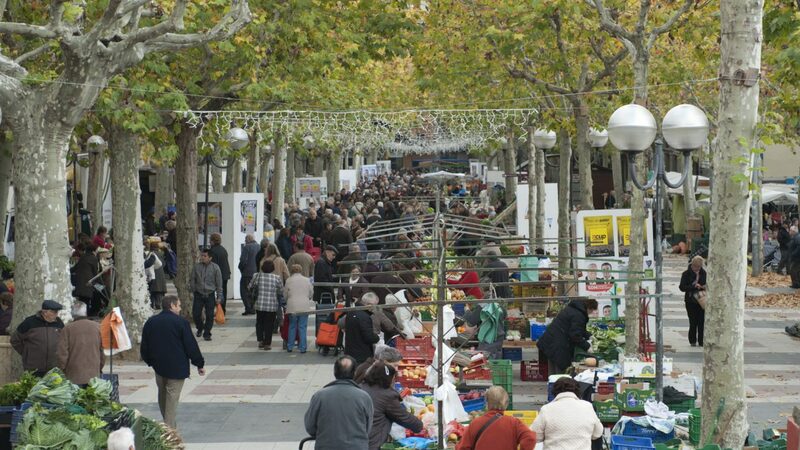 Olot’s city is placed in the intersection of small three valleys crossed by the river Fluvià, to 440 meters of height. His capital owes to itself, partly, to his central position inside the region of the Garrotxa, the industrial and commercial activity, the cultural life and the historical circumstances. To live between volcanoes forms a part of the ordinariness of the olotenses, and is that the city it’s located inside The Volcanic Region of La Garrotxa. They find four volcanoes of which stands out the Montsacopa, one in the middle of the city. The modernist architecture and the wooded walks are the elements of the city that mas captivate for his beauty. Though also we finds other architectural styles in constructions like the Cloister of Carmen (XVIIth) or San Estevan’s iglésia (The XVIII). In addition it has other singular features that her make a placid place only in the frame of the Catalan Pyrenees, as the zone of the wets of the Moixina, I calmly that surprises whom it visits, overcoat to the lovers of the art, who identify them with the painters of the Art’s school. One of its tourist ases is its cuisine, called “volcanic cuisine”, being “Potatoes Olot” one of its best and most popular recipes.